Much emphasis is placed by the EU on bioenergy crops as a means of decreasing Europe’s dependence on fossil fuels and environmental sustainability and in turn, promoting potential rural development benefits from biomass production and processing. Various reasons have been identified in the literature as influencing the future of bioenergy in the EU. Critical among them is the farmers’ willingness to engage in bioenergy crops cultivation. While common concerns of farmers at the EU level have been identified in the relevant literature, evidence exists that such concerns differ at country and even local level. In this chapter, through an exploratory approach, we identify parameters which influence Greek farmers’ decisions to engage in the cultivation of bioenergy crops. Thematic analysis was implemented for the exploration of data from a focus group, from central Greece, involving farmers and relevant stakeholders. General themes such as socio-economic, institutional/policy support, environmental and land-use considerations emerged. Numerous sub-thematics involving social and value considerations (e.g. generation gap), issues of social capital such as trust in government institutions and strategic planning complement the general themes. 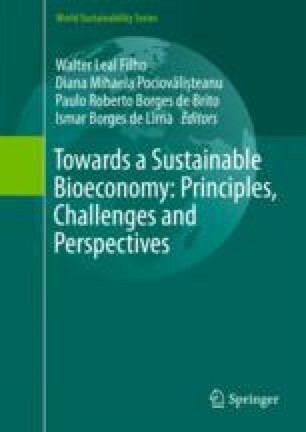 This chapter is based upon work supported by the WATBIO research project under programme No. 311929 (EU’s FP7 Programme). Any opinions, findings, and conclusions or recommendations expressed are those of the authors and do not necessarily reflect the views of the WATBIO programme.